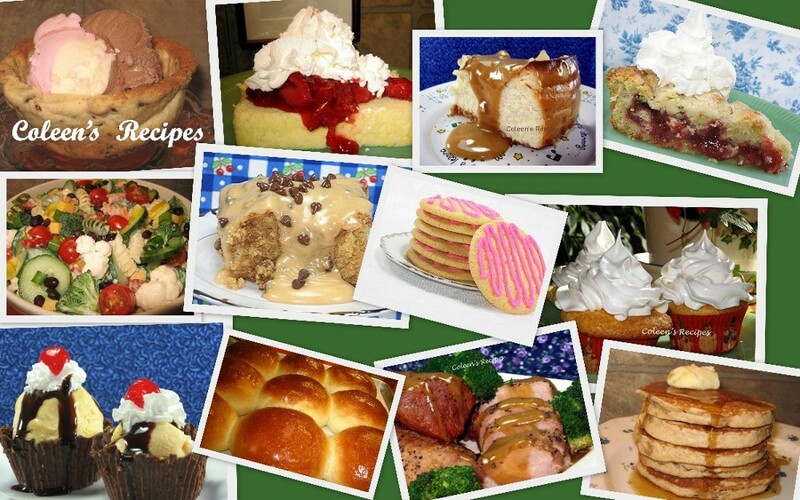 This is one of picky-picky hubbies all time favorite things to eat (hands down!!). 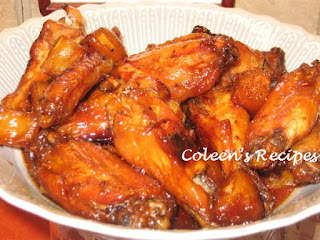 Wing sections baked in a soy sauce, brown sugar and pineapple mixture, this recipe is super simple and always a hit at parties. I've been asked for this recipe countless times and people are always surprised how few ingredients (simple) the recipe is. Cut the wings into sections, discarding the wing tip (or buy already cut up party wings) and place in a 9" x 13" (greased) baking dish. Mix everything else together and spoon over the wings. Bake in a 350 oven (uncovered) for 1½ hours, turning everything over every 30 minutes or so. Now I know that seems like a LONG time for chicken wings, but trust me, it does takes that long for the wings to "break down" and be super tender, sweet and juicy and sticky!! Remove the wings and pineapple from the sauce and serve (discard the sauce). Hubby likes the pineapple chunks, but I don't care for them...your choice. NOTE: Do not omit the pineapple, the flavor and moisture content of the fruit is important to the cooking process. NOTE: The last 30 minutes of bake time, the chicken wings will get shiney and sticky!! NOTE: If you are still in doubt about the 1½ hour cooking time, click on the above photo and you will get a better look at the wings themselves and you will see they are juicy and not overcooked. I think I will make these for football games-- the hubs will LOVE them! !